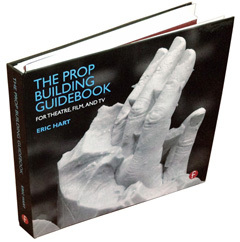 Online and offline resources to help you in all aspects of propping a show. I ran across this helpful picture of various soft drink cans since the middle of the Twentieth Century. Head on over to the “In 1 Podcast” site and check out this episode with Buist Bickley. Buist is fairly new to the New York props scene, but he has already served as production props supervisor (the Broadway term for “props master”) on a number of high profile shows: Other Desert Cities, The Mountaintop, Act One, Mothers and Sons, and many others. The podcast is a little over two hours long, but you learn so much about working as a props supervisor in New York and on Broadway shows. Buist talks about how he gets hired on new shows, and what the beginning of the process is like. He discusses when he likes to put the real props into rehearsal (“as soon as possible”). He divulges his favorite places to go shopping and how he manages to get things shipped as quickly as possible. I learned a few things as well. I did not know that the props person is also responsible for providing rehearsal scenery. Buist talks about the intricacies of dealing with unions, and how once he gets to a theatre, he is no longer allowed to touch any of the props, or in some cases, even set foot on stage. The episode is filled with so many more tidbits and information. Buist talks about his favorite designers to collaborate with, his favorite materials to use, and how he got started in the business. And check out the other episodes of “In 1″ as well, to learn more about your favorite Broadway designers. I caught a few episodes of Jim Henson’s Creature Shop a while back when my wife was in the hospital. It was very entertaining and informative, and probably the closest a reality show has come to portraying what prop builders actually do (though the show deals with creature building). I recently found that the SyFy website has some companion Creature Feature videos to go with the show. In the videos, the expert mentors on the show, Peter Brooke, John Criswell and Julie Zobel, take you through the process of building a creature. They start with design and sculpting, go through the animatronics, show you different finishing techniques, and end with how puppeteers bring it to life. It’s not an explicit “how-to” guide, since they gloss through everything quickly and don’t go into details. But if you have some experience, it is great to see how the masters do it, since you can get a lot of inspiration of new things to try on your own. 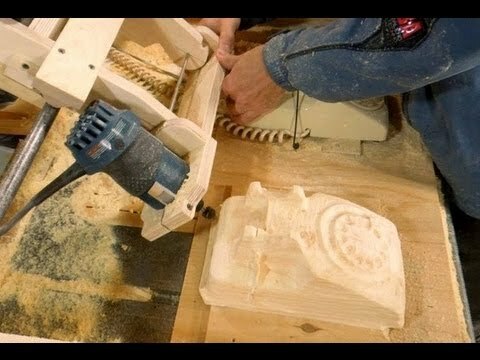 Here is a great video showing how to copy carve a rotary phone out of a chunk of wood using a router. 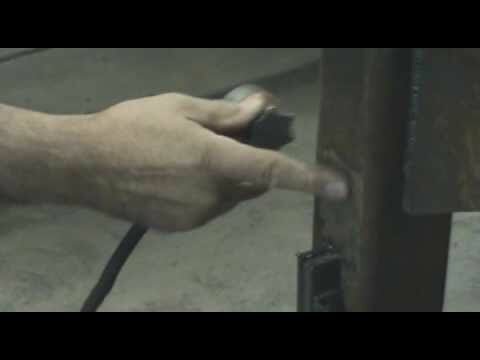 The video comes from Matthias Wandel, who runs the amazing Woodgears.ca. Check it out if you haven’t already, it’s on my list of the 100 best sites for the prop maker. He is an engineer by trade, and approaches woodworking from a unique angle. I just (re)discovered his YouTube channel, where he has videos for many of the projects he posts on his site. The aforementioned video for copy carving a phone is there, as is a video showing how to build your own copy carver. Welding is a great skill for a prop master or prop maker to have, though it can be a hard one to begin learning. The best way to learn is to have someone teach and guide you as you practice on your own. Whether that’s possible or not, it is also a good idea to watch some videos on welding to pick up background information and to get a different perspective on some of the techniques. I discovered Kevin Caron’s videos on welding; he has dozens of videos covering all sorts of welding styles and techniques. His background is in metal art and fabrication, so the way he demonstrates welding is close to how a props artisan approaches welding. We rarely have to deal with all the technical information one might get with a traditional welding course, and it can be easy to get overwhelmed with all of that when you are just starting out and simply want to join a few pieces of steel together for a static prop. So check out everything he has to offer, or just start with the one below. Whether you’re just starting or you’ve been doing it for awhile, you’re sure to pick up something new.